It’s yours for only R2,950 per couple in a classic room. Available from Sunday – Thursday. Stay with us for 2 nights & get your 3rd night free PLUS……..
Pay for 9 nights, get one free. R15000 for your 10 night bundle to use at your leisure. That’s yours for only R750 per person, per night, bed&breakfast in a classic room. 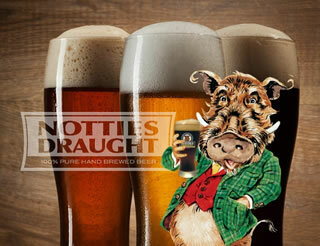 Give your clients the perfect gift from Notties Brewery – beer branded with your logo The Pickled Pig, Whistling Weasel, Tiddly Toad, Pie Eyed Possum and the Tipsy Tiger make terrific trophies. Book your conference, team build or year-end function now or call us to find out about our unique promotional gifts. Work with industry’s top wedding supplier for all your décor arrangements. 100% personal attention from our dedicated team.